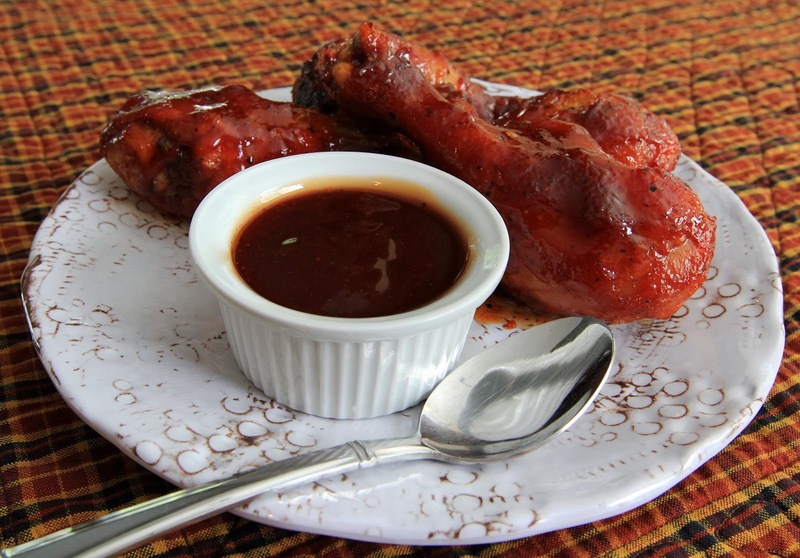 I have a special spicy BBQ sauce recipe that I make all the time. My guys love it, but for the longest time my husband has been asking me to come up with a sweet sauce. When our Spice House challenge came up and I was searching through all of their spice choices (so many to choose from!) I came across their Maple Sugar. I thought it would be perfect in a sweet BBQ sauce, so at my hubby's request I came up with this Sweet BBQ Sauce. The addition of the Smoked Hot Spanish Paprika and the European Style Black and White Peppercorn Blend give this sweet sauce a nice little zing. Combine all ingredients in a saucepan. Bring just to a boil, turn down heat and simmer for 15 minutes (you might want to use a splatter screen because it will probably splatter a bit). Transfer to a glass container (such as a canning jar or covered glass bowl) and cool completely. It'll last for a few weeks in the fridge. Goes great on chicken or meatloaf!